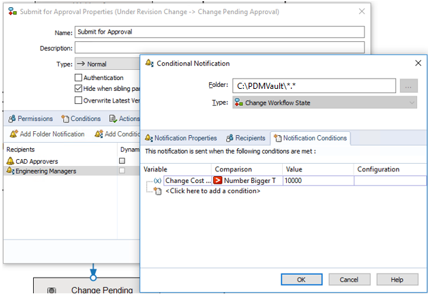 New functionality in SOLIDWORKS PDM Professional 2019 is the introduction of Conditional Notifications in Workflows. 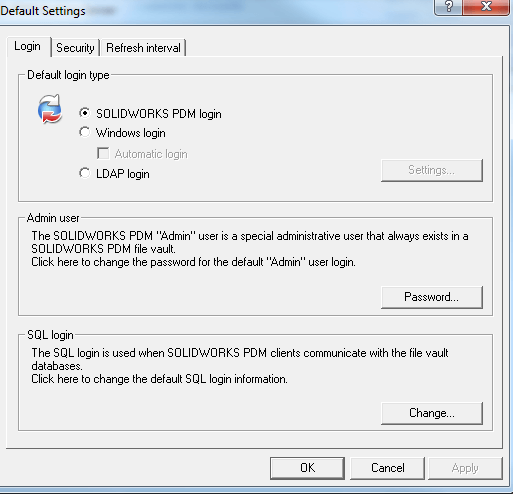 Prior to the 2019 release of SOLIDWORKS PDM Professional, notifications would be sent to users (or groups of users) during a transition between states. While the you could make the recipients of the notification dynamic (selectable by the user performing the transition), there was not a way to define when to not send the notification at all. 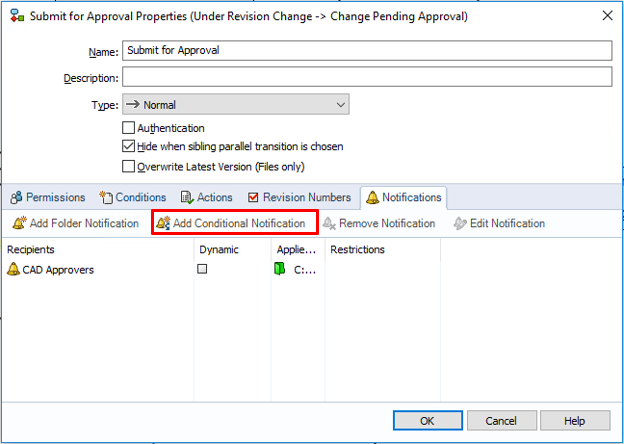 With 2019, in the Workflow editor, you can create a new type of notification called a Conditional Notification. Conditional Notifications work, like you may have guessed like Transition Conditions. The difference being that while Transitions Conditions are used to determine whether or not a Transition can be done, Conditional Notifications only affect whether or not a notification is sent. Setting up a Conditional Notification is similar to a Folder Notification with two main differences. First is that on the Recipients tab, in addition to being able to define users or groups of users to be notified, you can also use a Data Card Variable (such as Author) value to be the recipient. The second difference is the Notification Conditions Tab. This is where you define the conditions for sending the notification. An example, illustrated below, would be to notify a manager upon submitting for review if the Change cost Estimate is greater than $10,000. 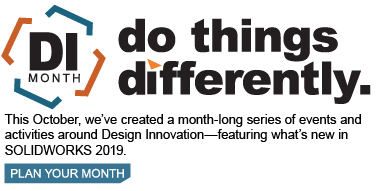 With Conditional Notifications in SOLIDWORKS PDM Professional 2019, you now have the ability to configure your workflow notifications to specify more accurately who gets a notification, and what notifications get sent, making notifications more meaningful and useful for PDM users.